Build dashboards and reports with exactly the metrics you need using plain Python scripts. There is nothing new to learn. Bitdeli keeps your results up to date, no matter how much data you have or how complex your metrics are. 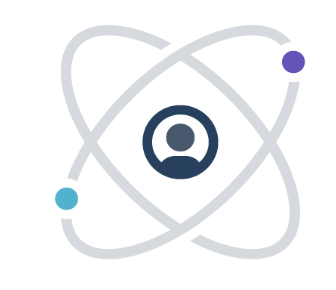 Get started in minutes with our growing library of open-source analytics, created by experienced data hackers. What is Mixpanel Export Tool? 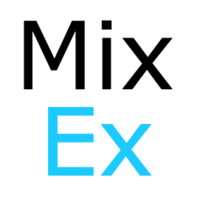 Export events & user data from your mixpanel account to a hosted mongodb/mysql in minutes. Run custom BI queries and advanced user reports that Mixpanel can't. Why do developers choose Keen? Why do you like Keen? Why do developers choose Bitdeli? Why do you like Bitdeli? Why do developers choose Mixpanel Export Tool? Why do you like Mixpanel Export Tool? What are the cons of using Keen? What are the cons of using Bitdeli? What are the cons of using Mixpanel Export Tool? Downsides of Mixpanel Export Tool? How much does Keen cost? How much does Bitdeli cost? How much does Mixpanel Export Tool cost? What companies use Mixpanel Export Tool? What tools integrate with Keen? What tools integrate with Bitdeli? What tools integrate with Mixpanel Export Tool? What are some alternatives to Keen, Bitdeli, and Mixpanel Export Tool? The service is incredibly easy to use, both from a data collection standpoint and a visualization perspective. I ran into a few snags with the documentation lagging behind the actual code, but I got pretty near real-time support from one of the founders emailing me from 30,000 ft over Thanksgiving weekend. The only reason I know about any reliability issues is because Keen emails me whenever anything is degraded or problematic, even if it only lasts a few minutes. They could be a whole lot less transparent and get away with it, but they don't take that short cut. We use Keen to analyze transfer logs over at Mover (https://mover.io). Each time a user performs a transfer of files we give Keen a summary of their transfer. At any time, technical and non-technical users on our team can easily pull information out of the datasets we've presented. To keep track of who is visiting the repo, but Github recently started offering something similar with https://github.com/cyrusstoller/RevTilt/graphs/traffic. I used Keen because it was an extension that could be added through Heroku. It was very easy to set up application metrics and dashboards with them.